Our hard-working and specialized team is ready to safely and effectively complete your abatement needs. Certified Environmental Professionals is a licensed asbestos removal contractor in the state of Georgia with years of experience working for Atlanta area commercial clients. Call (678)-506-2885 to connect with ​​Certified Environmental Professionals, LLC. Our professionals are specialized in removing asbestos from any home or business environment in Atlanta, GA, even in areas that aren’t readily visible. If found, asbestos should only be handled, encapsulated and/or removed by trained professionals. If asbestos has already gotten into the HVAC system, we have expert methods to remove it. Asbestos is referred to as a group of minerals that look like thin, long separable fibers. These fibrous materials are small but can be seen under a microscope. Asbestos can be found in certain building materials, such as sheetrock mud, floor tiles, and the tape around the ductwork. When disturbed, these fibers float and can be easily inhaled into the lungs. Officials have recognized asbestos as being a serious health threat to people and can be cancerous, causing various lung diseases. Asbestos is nonflammable and a poor heat conductor, therefore making it a valuable material in the construction of flame retardant materials used in Industrial Plants such as pipe insulation, and safety clothing for fire fighters. It is also used in many others building products because of it fibrous properties and its longevity as a building material. Asbestos is a naturally occurring mineral composed of bundles of fibers. It has proven to be very resilient, serving as an excellent insulator that is not affected by heat or chemicals. It also serves as an ideal noise insulator and it does not conduct electricity. For these reasons, it has been used in building materials since the late 1800's and in automotive components as well. The Environmental Protection Agency (EPA) in 1971 declared asbestos unsafe and a hazardous air pollutant with strict requirements regulating removal and disposal. Asbestos has been determined to cause severe, and even fatal health problems such as Asbestosis (scarring of the lung tissues) and cancers of the lungs, esophagus, colon, pancreas, and stomach. Health problems resulting from asbestos exposure can take 10 to 40 years after exposure to appear in an individual. Asbestos must enter the body to cause health problems. This happens though inhalation or ingestion of asbestos fibers. Asbestos fibers can become airborne and a possible health hazard when materials containing asbestos are disturbed or improperly removed. Asbestos fibers are so microscopic that they are often unseen when airborne, thus individuals can be exposed to asbestos without their knowledge. Once asbestos is released in an area, it can remain in that area for an indefinite amount of time. Disturbed asbestos fibers become airborne and eventually settle down onto objects. These fibers can become airborne again upon any disturbance or activity in that area. Asbestos was banned in the 1970’s, but is still very present in homes and buildings built after that time and is being used today to a limited extent. More information can be found on the Agency for Toxic Substances and Disease Registry website. Which Products Might Contain Asbestos? Asbestos should only be handled and/or removed by trained professionals. 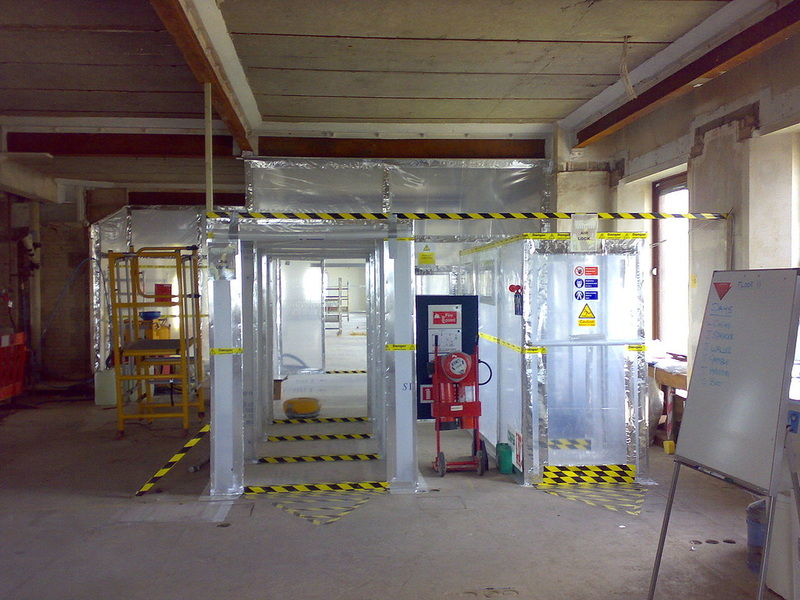 If the material containing asbestos is in good condition, then it is best to leave it alone. If unsure whether or not the material contains asbestos, an asbestos certified ARA technician can inspect to sample and test the material for you. Before you have your home or business remodeled, you should find out whether asbestos-containing materials are present. If you find damaged material containing asbestos (i.e., unraveling, frayed, breaking apart) or mold you should immediately isolate the area (keep pets and children away) and refrain from disturbing the material (either by touching it or walking on it). Are you buying an older home or thinking of doing some remodeling? Then call us at 678-506-2885 to schedule an asbestos inspection.